Businesses turn to China's western hub for breathing space as costs and traffic woes hit major cities, Li Yu and Peng Chao report in Chengdu. China’s first-tier cities in the conventional sense - Beijing, Shanghai and Guangzhou - have long been the first choice as bases for start-up companies. Yet the rising property prices, worsening traffic and increasing living costs in these metropolises have led to more entrepreneurs shifting their focus to uprising second-tier cities. One of them is Chengdu, the capital of Southwest China’s Sichuan province and a major hub for the country’s vast southwest. Li Xin, CEO of venture capital company Baotuan Tech Ventures, has called the city home for five years. The 32-year-old was born in Lanzhou, Gansu province, and graduated from Shanghai Jiao Tong University in 2006. After first working at a foreign IT company in Hong Kong, he found a job with Chengdu Hi-Tech Development Zone, which has hundreds of hi-tech companies. He went on to establish an internet company and an advertising agency. He said he enjoyed the process and had gained a great deal of experience. Last year Mr Li joined Baotuan, which since being founded in August 2013 has invested in more than 40 start-ups nationwide, as well as two in the United States’ Silicon Valley, with a total investment of 50 million yuan (£5.5 million). 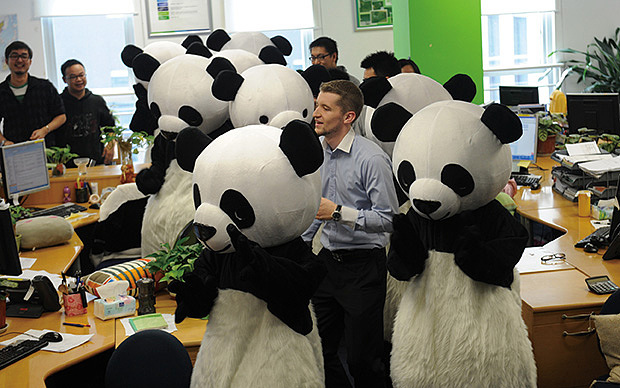 Many of the start-ups have been in Chengdu. Most of the start-ups invested in by Baotuan are game developers, as its parent company, Tap4fun, is focused on the industry. 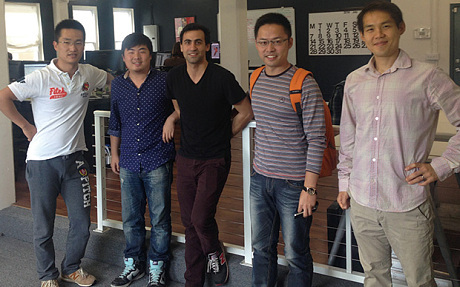 Tap4fun is one of the best examples of the fast-developing start-ups in Chengdu Tianfu Software Park. Founded by three partners with 3,000 yuan as startup capital, today the company has 400 employees and annual sales revenue of more than $100 million. Mr Li said Baotuan not only incubated start-ups in their “kindergarten period” with money and free office space, but also with its rich entrepreneurial experience. “Most start-ups fail at the very beginning,” he said. “Someone may have very good ideas, but they lack the experience to start a company and realise those ideas, which is a huge loss to the entrepreneur and society. Our experience can help them avoid making mistakes.” He said Baotuan planned to invest more than 100 million yuan in more than 30 start-ups this year. Over the past three years, Mr Li said he had witnessed rapid development in Chengdu: GDP has risen from 814 billion yuan to one trillion yuan, the number of Fortune Global 500 companies with a presence has increased from 212 to 262, and international air routes available at Chengdu Shuangliu International Airport has gone from 48 to 82. Great changes have also taken place in the Internet industry. “Chengdu is very quickly catching up with the first-tier cities,” Mr Li said, adding that he believed Chengdu will one day cultivate companies such as Alibaba, China’s largest e-commerce company. With a good entrepreneurial atmosphere, relatively low living costs, clean living environment and strong government support, Chengdu has become more attractive to business people and workers around China and the world, Mr Li said. The Entrepreneurial Tianfu project launched in February has added to the city’s charm. The project aims to encourage university students, scientific and technological experts, and top overseas workers to start businesses, as well as encourage venture capitalists and entrepreneurs to invest in Chengdu. Each month, the city government holds an activity for entrepreneurs, investors, university principals, research institute directors and government officials to share their experiences in starting companies and discuss entrepreneurial programmes. Tang Liangzhi, the mayor of Chengdu, who attends each one, said he believed that during China’s new normal era of development, innovation and entrepreneurship would be major driving forces for economic growth. According to the plan for Entrepreneurial Tianfu, the city will establish a comprehensive support system by 2020, with 200,000 scientific and technological entrepreneurs. 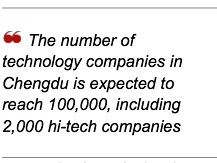 The number of technology companies is expected to reach 100,000, including 2,000 hi-tech companies. Technology companies will generate annual revenue of 2 trillion yuan, while the number of patents applied annually will reach 50,000. To encourage universities and institutions nationwide to join in with innovative projects in Chengdu, the city’s science and technology bureau unveiled a range of policies. The package of policies, known as Chengdu 10 Points, vowed to provide people with technology or projects with financial support of up to 1 million yuan if they set up a business in the city. Bai Yong, who received a bachelor’s degree in Chengdu from the University of Electronic Science and Technology of China and is studying for a doctorate in bio-medical engineering at the University of California at Los Angeles, said he had been planning to start a business for a long time - and that Chengdu was his top destination. “Although I am studying abroad, I have been keeping an eye on the entrepreneurial environment in Chengdu,” he said, adding that he had decided to come back to Chengdu and start a business with his friends at UCLA. “Chengdu is in western China, and Silicon Valley is in the western region of the United States,” Chen Ou, founder and CEO of Jumei, China’s largest online beauty products retailer, said at an entrepreneur activity in Chengdu. Mr Chen, whose company was listed on the New York Stock Exchange in May last year, said he was not allowed to buy a home in Beijing because he does not hold Beijing hukou (a permanent residence permit), nor is he able to buy a car unless he wins the capital’s license plate lottery. “Why would we start a business if it doesn’t improve our life?” Mr Chen said, adding that cities such as Chengdu appear more attractive to entrepreneurs. “Many of my employees are applying to work in Chengdu,” said Mr Chen who in March bought a house in the Sichuan capital. Sichuan University, especially The College of Software Engineering which has very close relationship, collaboration and co-operation with Chengdu's IT industry. Study at Sichuan University in Chengdu may help and provide you added advantage to gain access to this land of abundance opportunities of the Western China's Silicon Valley. Click the links below to see the English-medium instructed programs offered by the this top university in Sichuan. Autumn intake for 2015 is in progress. Apply now!